Do you own a cutting machine and want to convert drawings and pdf files into SVG files? Not a problem! It is possible to convert a drawing into an SVG file for cutting with the open source software called Inkscape. You have to love that! This software is free, and there are many tutorials on YouTube.com which will teach you the process. One of my favorite Youtube tutorials is by Laura Polis. 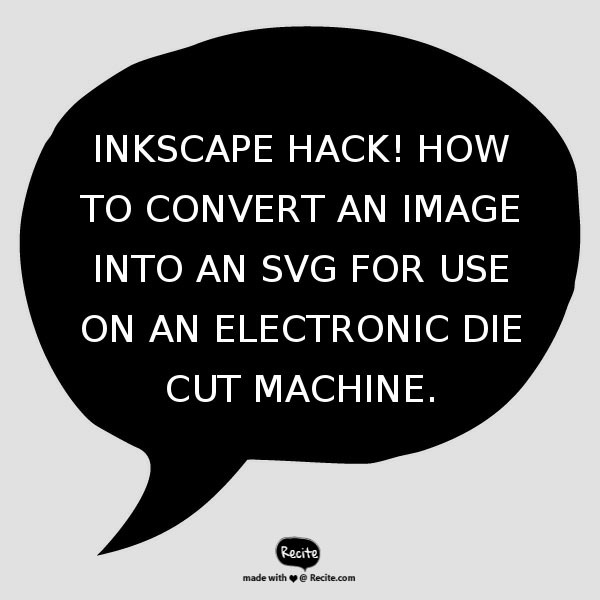 She demonstrates how to convert an image into an SVG file which can be cut on a machine in clear, easy to follow steps. She will show you how to be an SVG pro in no time!